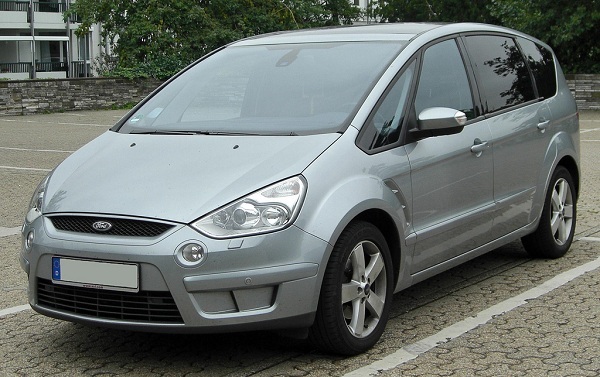 First released in 2006, people have been slow to pick up on the brilliance of the Ford S-MAX. As it’s slightly cheaper than their Galaxy model, it’s an amazing alternative that suits families and individuals equally. With that in mind, we thought it might be a good idea to publish a short review of the S-MAX in the hope that some of you might show an interest. After spending an entire day with the car, we managed to assess all the standard aspects and determine exactly why it’s selling so well these days. Of course, it’s also a fantastic car for new drivers. As you will see in a moment, it has some fantastic safety features that are guaranteed to help you avoid injury during minor accidents. Those of you’ve who’ve recently sat a DSA theory test and then managed to obtain a full licence should give it some serious consideration. For the average person who drives around 10,000 miles per year, the S-MAX will take somewhere in the region of £2,000 worth of fuel. That obviously depends on whether you select the unleaded or diesel models. As with most modern cars, you can save a considerable about by choosing diesel. Still, that’s all down to your personal preference. Across the board, the S-MAX is one of the cheapest 2 litre engines with 145 brake horsepower. At best, it should manage around 35 miles per gallon of fuel. The model we assessed has a six-speed Power shift transmission, meaning the ride was smooth and enjoyable. You can expect to reach speeds of 0 to 60 in less than ten seconds providing weather and road conditions are satisfactory. Not many cars get a five-star rating in the Euro NCAP crash test, but the S-MAX did. That’s because it’s one of the safest cars Ford has ever created. As standard, the car comes with seven airbags. Also, the pedals and steering wheel have been designed to cause minimal damage to the driver when an accident occurs. New models include curtain airbags that help to protect anyone travelling in the rear of the vehicle. There is also a blind spot indicator that alerts the driver to cars that might be passing, but that can’t be seen in the door mirrors. You only have to spend five minutes looking at this car to realise it is incredibly stylish. The bodywork is alluring, and the sleek shape of this vehicle makes it very desirable. While the Galaxy might be a little over-sized, Ford have perfected the S-MAX design. As you can clearly see, the S-MAX is one hell of an automobile. Not only is it a few thousand pounds cheaper than the Galaxy model, but it’s also very safe and reliable. Indeed, that is why we would recommend it for new drivers who have to carry passengers often. It would also work well as a business vehicle as there is plenty of space in the back for anything you might need to carry.